Aurangabad is known as the city of gates, as the place is well known for its large number of gates and arches around it. The city is the 4th largest one in the state of Maharashtra and was founded in the year 1610 by Malik Ambar. The place gets its name from the Mughal Emperor, Aurangzeb, and is home to a large number of historical monuments. The place was originally named Khadki by Malik Ambar. After his death in the year 1626, his son Fateh Khan succeeded him and renamed the city as Fatehnagar. Later on in the year 1653, Aurangzeb captured the place for the second time and renamed it as Aurangabad. Best Time To Visit: The city is a year around destination; however, the months from October to March are considered as the best time to visit the place as the weather remains pleasant and calm which enables one to go around the city without sweating too much. By Air: The Aurangabad Airport is the major airport of the town. It offers excellent connectivity to all the major airports across the country such as Delhi, Mumbai, Chennai, Bengaluru etc. By Train: The Aurangabad railway station is within the city limits, and is well connected to all the major towns and cities across the state of Maharashtra and a number of cities across the country such as Bengaluru, Chennai, Thiruvananthapuram etc. 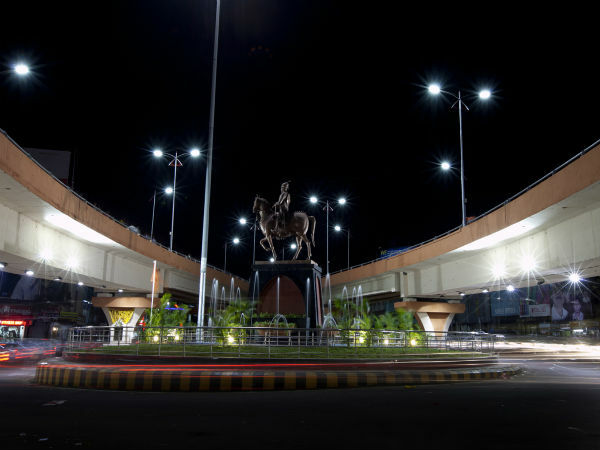 By Road: One of the best ways to reach the heritage town is by road, as the place offers excellent connectivity by roads with quite a number of buses operating from major towns and cities like Pune, Mumbai, Shirdi etc. Aurangabad is located at a distance of 333 km from Mumbai. The pilgrim town of Shirdi is home to the temple of Shirdi Sai Baba, who was a saint and lived in the late 19th century. The temple is managed by a trust called Shirdi Saibaba Sansthan Trust and is considered to be one amongst the richest temples in country. The shrine gets an average footfall of approximately 25,000 pilgrims everyday and the numbers go up as high as 1,00,000 during festivals and other occasions. Apart from the main shrine, there are quite a few other shrines which hold importance such as Baba Chavadi, Gurusthan, Dwarakamai Emporium etc. The city of Aurangabad is a tourist hub which is surrounded by a large number of monuments, world heritage sites and much more due to which the city is also known as the Tourism Capital of Maharashtra. Apart from being a tourist hotspot, the place is a well known industrial hub and also a textile hotspot. The place is well known for hand woven sarees of Himroo and Paithani. The most well known attraction here is the UNESCO World Heritage Site of Ajanta and Ellora Caves, which are located at a distance of approximately 96 km from here. The Ellora group has 34 caves which were built between the 5th and 10th century CE and holds its patronage to the Rashtrakuta dynasty. The Ajanta group consists of 30 caves which are carved on a gorge which was built during the 2nd and 5th century CE by the rulers of Satavahana, Chalukya and Vakataka dynasties. 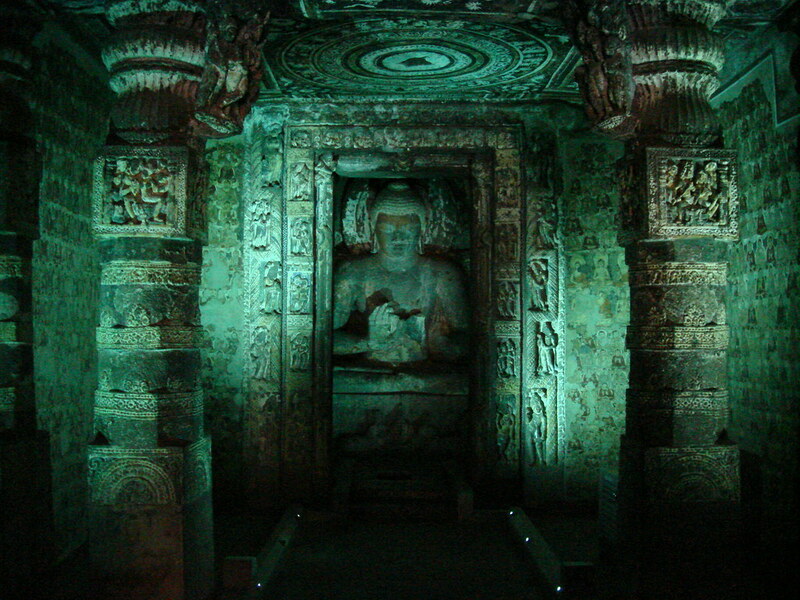 Both caves are home to some of the rarest and finest examples of India's art and rock cut architecture. Bibi Ka Maqbara is a structure which houses the tomb of Aurangzeb's wife, Dilras Banu Begum. The structure is an imitation of the Taj Mahal at Agra due to which it is also known as the Taj of the Deccan. This tomb is located about 7 km away from the city centre. At a distance of 17.4 km from the city centre is the Daultabad Fort which is one of the most powerful forts. It was built in the 12th century by the rulers of the Yadava dynasty. This structure is an exemption from the list of forts that fell into the hands of the British. The fort is constructed atop a 200 m high conical hill and has numerous trenches and moats for its defense purposes. Grishneshwar Temple, is home to one of the 12 Jyotirlinga shrines in the country. The current structure was built sometime during the 18th century and is a unique example of the confluence of the Maratha and Bhoomija styles of architecture. The temples are located about 30 km from the city centre. Around 9 km from the city centre, one can find the cave temples of Aurangabad which was built between the 6th and the 8th centuries. The caves are 12 rock-cut Buddhist shrines which house some of the Buddhist artwork dating back to the first millennium CE. Some of the caves here draw parallel lines to the caves of Ajanta. 8 km away from the city centre is another heritage structure of Soneri Mahal. It is also known as the Golden Palace and is located inside the campus of B.R. Ambedkar Marathwada University. The palace is located with the scenic background of the Satara mountain range and is constructed using stone and lime which further adds on its grandeur.